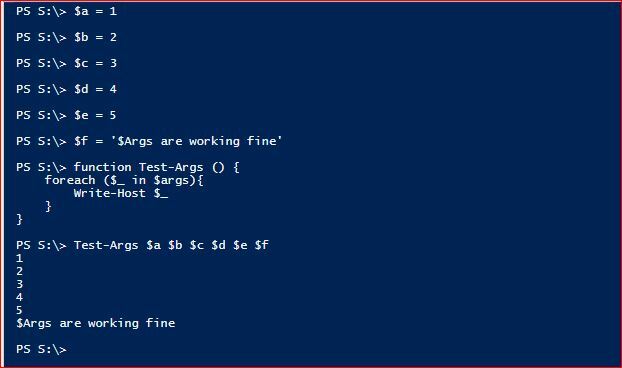 In this tutorial we will see about PowerShell Automatic Variables. As Microsoft describes, these variables store state information for PowerShell. They are created automatically and maintained by PowerShell. Ideally, PowerShell Automatic Variables are considered to be read-only. Although you are able to write to them, you should avoid writing to those variables in order to keep backward compatibility. 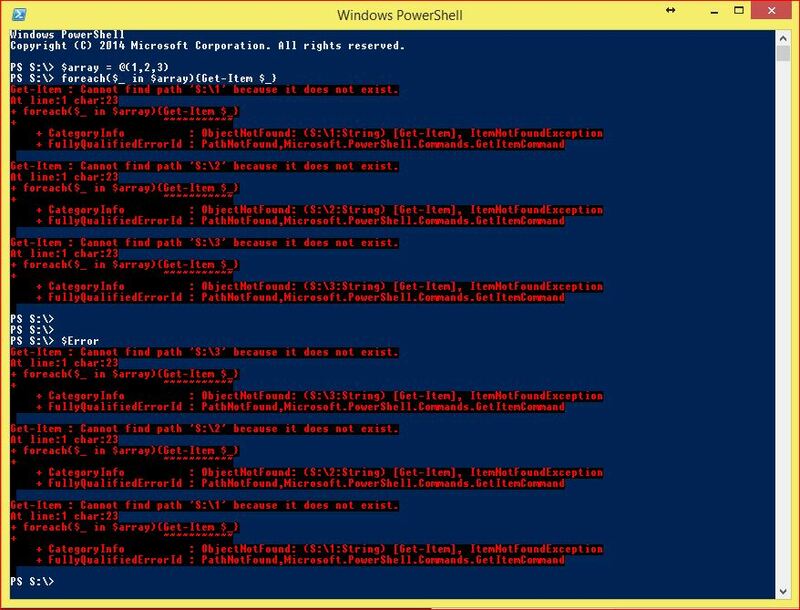 Below I will provide the list of those PowerShell Automatic Variables. Then we go through each one of them to see what it does and some examples. I will provide the direct description from Microsoft in order to provide you with the exact information about them. I will provide you with some examples for them in order to understand better the information that can provide you. 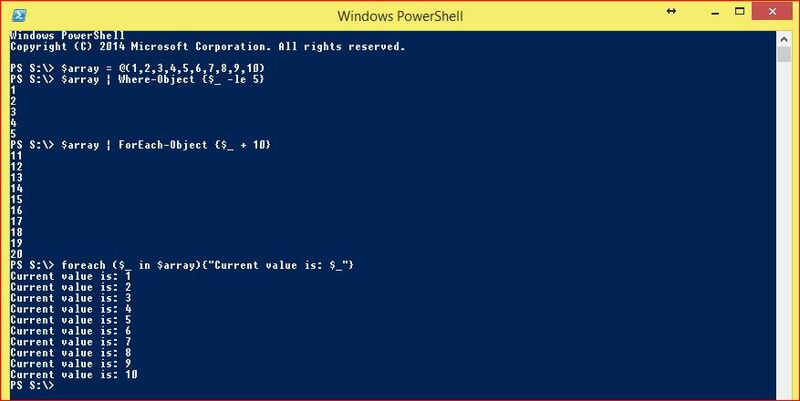 This tutorial can be used mostly for reference guide of PowerShell Automatic Variables. Unfortunately the list is long and so this tutorial. I tried to help you out with jumps to specific sections that you are more interested. Contains an array of the undeclared parameters and/or parameter values that are passed to a function, script, or script block. When you create a function, you can declare the parameters by using the param keyword or by adding a comma-separated list of parameters in parentheses after the function name. In an event action, the $Args variable contains objects that represent the event arguments of the event that is being processed. This variable is populated only within the Action block of an event registration command. The value of this variable can also be found in the SourceArgs property of the PSEventArgs object (System.Management.Automation.PSEventArgs) that Get-Event returns. Contains an array of error objects that represent the most recent errors. The most recent error is the first error object in the array ($Error). Contains a PSEventArgs object that represents the event that is being processed. This variable is populated only within the Action block of an event registration command, such as Register-ObjectEvent. The value of this variable is the same object that the Get-Event cmdlet returns. Therefore, you can use the properties of the $Event variable, such as $Event.TimeGenerated , in an Action script block. Contains an object that represents the first event argument that derives from EventArgs of the event that is being processed. This variable is populated only within the Action block of an event registration command. The value of this variable can also be found in the SourceEventArgs property of the PSEventArgs (System.Management.Automation.PSEventArgs) object that Get-Event returns. Contains FALSE. You can use this variable to represent FALSE in commands and scripts instead of using the string “false”. The string can be interpreted as TRUE if it is converted to a non-empty string or to a non-zero integer. Contains the enumerator (not the resulting values) of a ForEach loop. You can use the properties and methods of enumerators on the value of the $ForEach variable. This variable exists only while the ForEach loop is running; it is deleted after the loop is completed. For detailed information, see about_ForEach. Contains the full path of the user’s home directory. This variable is the equivalent of the %homedrive%%homepath% Windows environment variables, typically C:\Users\. Contains an object that represents the current host application for PowerShell. You can use this variable to represent the current host in commands or to display or change the properties of the host, such as $Host.version or $Host.CurrentCulture, or $host.ui.rawui.setbackgroundcolor(“Red”). Contains an enumerator that enumerates all input that is passed to a function. The $input variable is available only to functions and script blocks (which are unnamed functions). In the Process block of a function, the $input variable enumerates the object that is currently in the pipeline. When the Process block completes, there are no objects left in the pipeline, so the $input variable enumerates an empty collection. If the function does not have a Process block, then in the End block, the $input variable enumerates the collection of all input to the function. The $Matches variable works with the -match and -notmatch operators. When you submit scalar input to the -match or -notmatch operator, and either one detects a match, they return a Boolean value and populate the $Matches automatic variable with a hash table of any string values that were matched. For more information about the -match operator, see about_comparison_operators. Contains an information about the current command, such as the name, parameters, parameter values, and information about how the command was started, called, or “invoked,” such as the name of the script that called the current command. 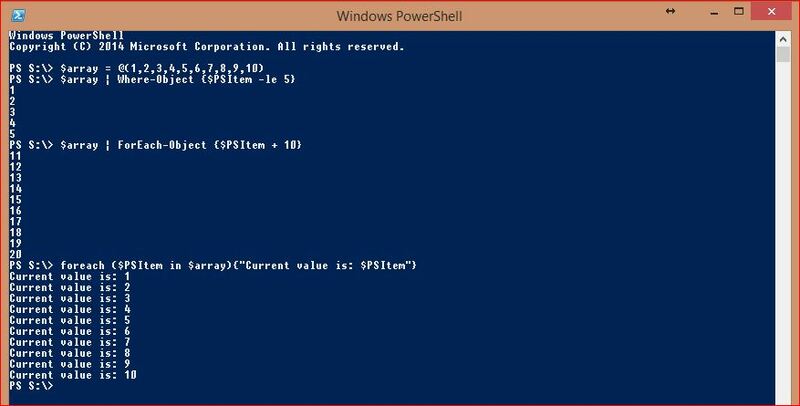 Beginning in PowerShell 3.0, $MyInvocation has the following new properties. PSScriptRoot – Contains the full path to the script that invoked the current command. The value of this property is populated only when the caller is a script. PSCommandPath – Contains the full path and file name of the script that invoked the current command. The value of this property is populated only when the caller is a script. When you enter a nested prompt, PowerShell pauses the current command, saves the execution context, and increments the value of the $NestedPromptLevel variable. To create additional nested command prompts (up to 128 levels) or to return to the original command prompt, complete the command, or type “exit”. There are some people that think $null value is the same. Based on the description above it is not the same check the below screen shot. 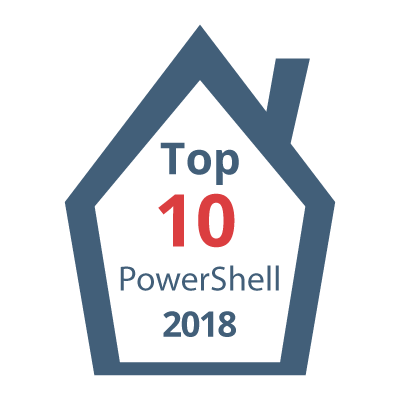 Contains a read-only hash table that displays details about the version of PowerShell that is running in the current session. PSEdition – This property has the value of ‘Desktop’, for Windows Server and Windows client versions. This property has the value of ‘Core’ for PowerShell running under Nano Server or Windows IOT. PSRemotingProtocolVersion – The version of the PowerShell remote management protocol. Contains the object that generated this event. This variable is populated only within the Action block of an event registration command. The value of this variable can also be found in the Sender property of the PSEventArgs (System.Management.Automation.PSEventArgs) object that Get-Event returns. As Microsoft mentions there are some more automatic variables but they are for future use. The “ReportErrorShow” variables are defined in PowerShell, but they are not implemented. Get-Variable gets them, but they do not contain valid data. I hope the tutorial about PowerShell Automatic Variables is helpful. Please let me know your comments and thoughts.